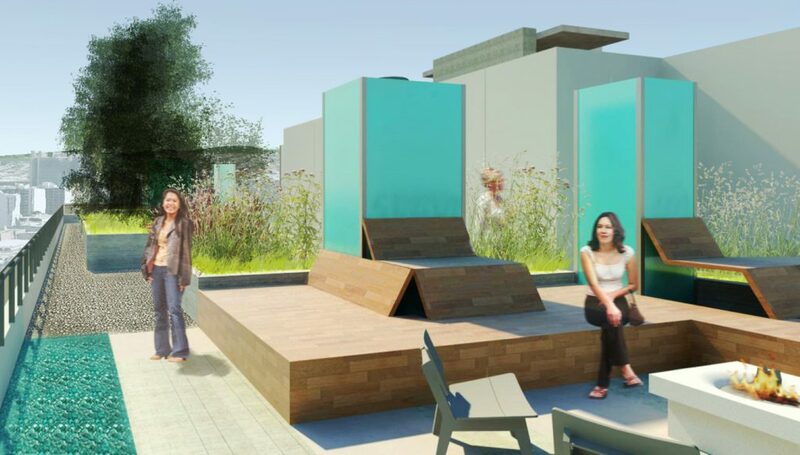 The landscape at the Austin is all about connection to the City of San Francisco, its surrounding neighborhood, the architecture of the building and its residents. Designed by Arquitectonica, the clean lines of the building step back, forming generous outdoor terraces. 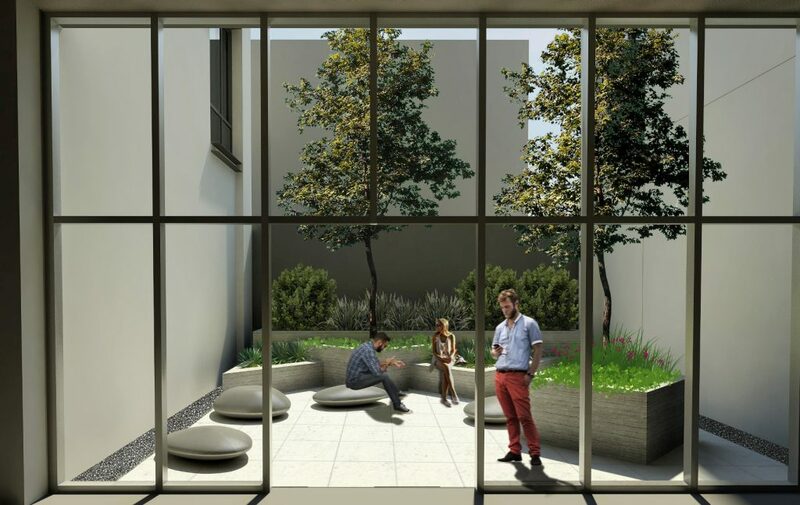 The lobby courtyard with raised planters of varying heights and a grove of small trees creates a lush backdrop to the adjacent resident lounge, while providing privacy to the adjoining upper units. 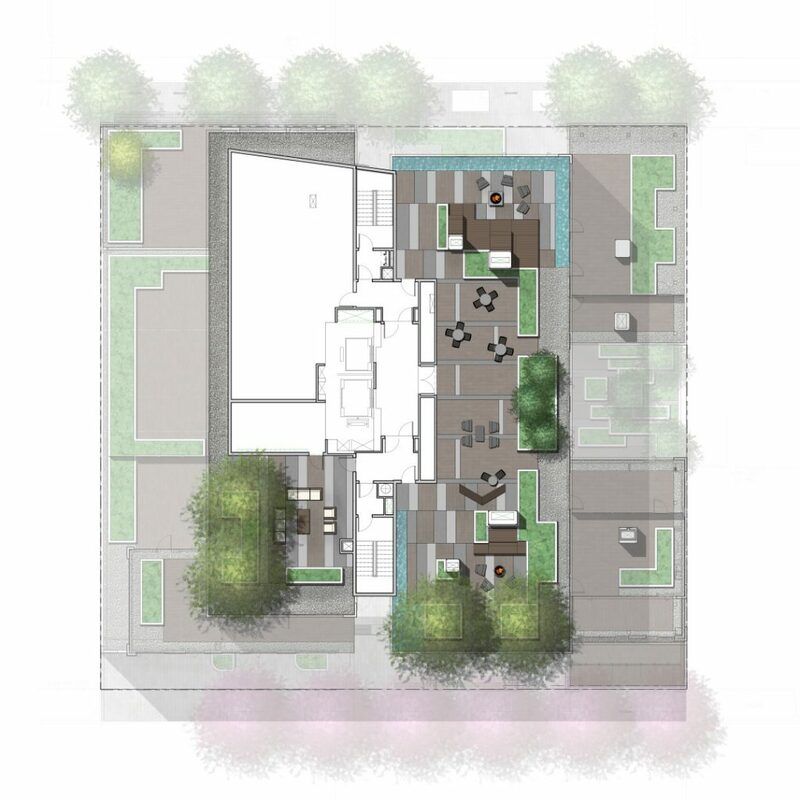 Planters were added on some of the private terraces to establish a soft buffer between neighboring buildings. 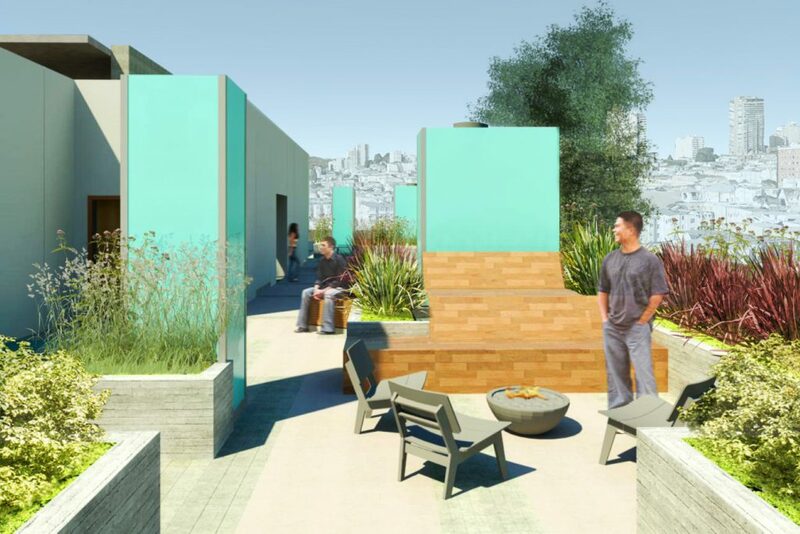 On the roof terrace, fire pits and custom built-in benches at the north and south provide seating for taking in the view. Small, flowering trees and perennial plantings in raised planters soften the deck and give a sense of enclosure to the connected gathering areas.